Taking a developmental approach, this book critically reviews Vietnam's reform process and shows how the country’s reform agenda is still dominated by a ‘developmental orthodoxy’ inspired by a post-Washington consensus. The author argues that a wider debate is needed in order to give national policy makers the full spectrum of alternatives to support well-informed policy decisions. 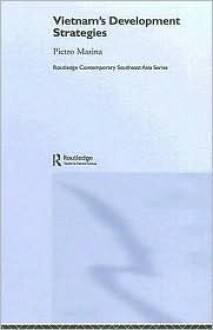 In particular, the book indicates that two issues central for any analysis of the Vietnamese development reform process are substantially underdeveloped in the current scientific debate: the experience of the East Asian developmental state and the question of socialism.Presenting a way of thinking about Vietnam that goes beyond the orthodox, the book sets out the various paradigms through which the Vietnamese economy can be analyzed. This is a welcome addition to the literature and will appeal to both practitioners working in the field and the academic community in Southeast Asian studies, economics and development.